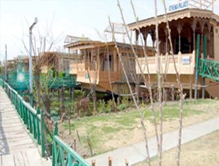 Athena Group of Houseboats is located in Srinagar. It is listed among the best houseboats in the city for the tourists embarking on Srinagar holiday tour because of its excellent services and diligent staff, which ensure meeting the growing needs and expectations of the guests. Lying on banks of the Dal Lake, Athena Group of Houseboats consists of all-deluxe houseboats. They are ideal for leisure travelers and offer a welcoming and comfortable ambience to the guests. Well designed with bright interiors and all the basic facilities, accommodation in this houseboat will leave guests with an unforgettable experience. Guests can visit major tourist attractions located nearby like Hazratbal Mosque, Nishat Bagh and Shankaracharya Mandir as per their interest. The group has done its best in grabbing the tourist’s attention and boosting Srinagar tourism. How to Book: To book accommodation in houseboats of Athena Group, simply contact Tour My India. We offer the best deals on Srinagar houseboat reservation. Apart from booking lodging in Private Shikaras, we also organize various exciting sports and adventure activities like trekking, skiing, skating, trout fishing and rafting. 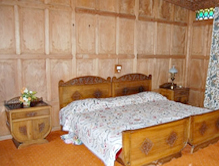 Our main objective is to offer travelers to Srinagar with some lifetime memories.